The youngest child of a Navy pilot and a journalist, Jennifer acquired a love of adventure and an excitement for learning that continues to this day. She's lived in three countries and traveled throughout the U.S. An avid reader of classics and historical fiction, she also enjoys biographies and histories, which she mines for the vivid details to bring to life the characters and places in her books. She resides with her husband in North Carolina--where, when not writing or dreaming up romantic adventures for her characters, she can be found fantasizing about her next ski trip or European vacation. "Engrossing and heartbreaking. An Heiress at Heart is poignant, profound and lovely." 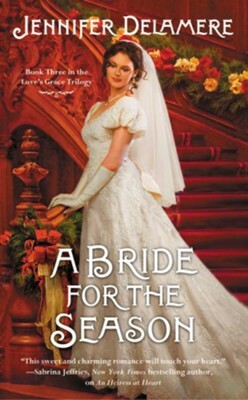 I'm the author/artist and I want to review A Bride for the Season - eBook.